The right math teacher can make the world of difference to your child’s learning experience, and to their attitude towards math and learning in general. If there’s a special teacher, tutor, or instructor in your child’s life, then why not show your appreciation with one of these cool, quirky gifts. 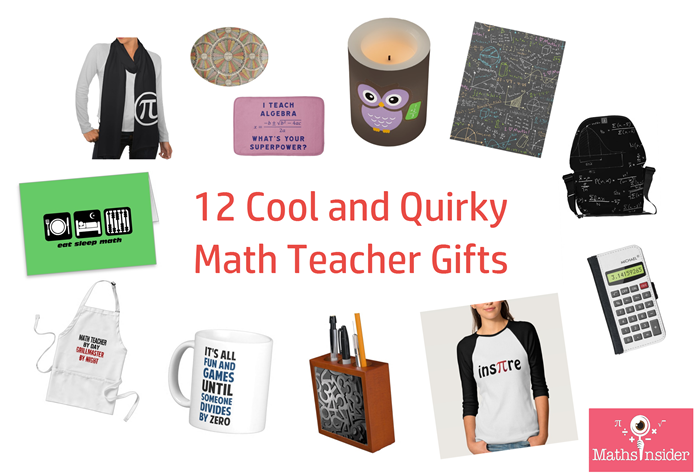 You can also check out our list of 13 Marvelous Math Teacher Gifts for more inspiration. 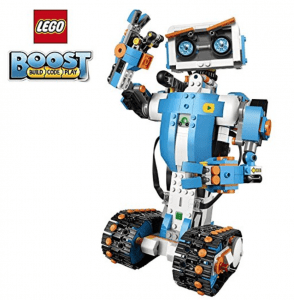 Whether you’re looking for something funny, practical, or just something a little unusual for a teacher who’s helping your child to reach his potential, you’re sure to find a gift that’s just right. Math teachers can make a statement about their love of the subject with this large, sturdy, messenger bag. Featuring a blackboard design with statistical formulas ‘chalked’ onto it, this is an unusual way to carry a laptop, or to take that pile of marking home. A “very sturdy” bag with a “secure, comfortable, and snug fit” this one has received great customer reviews. You can find an array of other bags for math teachers here. Also available in the UK and Australia. School teachers know that coffee cups are always in high demand. Save your math teacher from the frustration of stolen mug-theft, by buying this distinctive mug that proclaims, ‘It’s all fun and games until someone divides by zero.’ Mugs for math teachers come in all kinds of designs, from the beautifully arty to the groan-worthily funny. A custom coffee mug will put a smile on a teacher’s face. Also available in the UK and Australia. Children usually think that their teachers live and breathe all things educational. If you know a math teacher who fits this description, then what better gift than this geeky bath mat to dry their toes after a morning shower? Bonus points from your tutor if you can explain the formula! One reviewer described this as “the softest bathmat I’ve ever set my feet upon”, which seems like a glowing recommendation to me. If that one’s a little too obvious for your tastes, then take a look here for bath mats featuring antique multiplication tables, numbers, and more. Also available in the UK and Australia. A gift or the teacher who has kindled the math flame in your child’s life. Whether they’ve supported your family through exams, or just helped to boost flagging confidence, they’re sure to love this vinyl-wrapped LED candle. A subtle show of appreciation that would be well suited for either home or classroom use. Take a look at other candles that would make good teacher gifts. Also available in the UK and Australia. Even when they’re off-duty, tutors can display their math love with pride, by wearing this apron. ‘Math teacher by day. Grillmaster by night.’ This “well-constructed” apron has “big and functional pockets.” Tea towels, cake toppers and cutting boards are also available to brighten up the kitchen. Also available in the UK and Australia. Steampunk style, vintage French multiplication tables, printed onto a beautiful serving platter. Beautiful design paired with a geeky edge that any math teacher is sure to love. Click through to see other math-inspired large serving plates. Also available in the UK and Australia. A jigsaw puzzle printed with a plethora of mathematical equations. Vectors, volume calculations, and Pythagorean theory combine to make an unusual gift that’s sure to be a talking point. 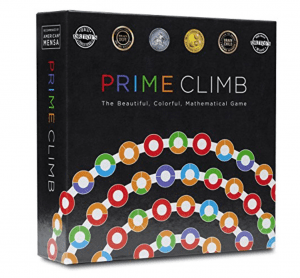 From puzzles to poker, and from poker to ping-pong, these gifts will help your math teacher to enjoy his or her downtime. Also available in the UK and Australia. Some teacher gifts tend to be a bit pointless, after all, there are only so many cutesy photo frames one person can find a home for. The practicality of this iPhone 6 case will be appreciated though. A “cushiony case” with “a velvet like feel on the inside.” Alternatively, you could go for a laptop sleeve or, a pi USB flash drive. Also available in the UK and Australia. A subtle nod towards the number-loving tendencies of your maths teacher, this mahogany-finished wooden desk tidy will keep pens and pencils easy to hand. “A fine addition to any desk.” Lots of other fun organizer designs available. Also available in the UK and Australia. The quirky wordplay on this “super comfortable” cotton t-shirt will either have people smiling knowingly, or wrinkling their brow in confusion. Which category do you fall into? For other options, check out the range of math teacher apparel available. Also available in the UK and Australia. This soft and stylish jersey scarf would make a beautiful gift for a special teacher. Falling nicely into the pretty-but-practical category, she’ll reach for it again and again. “Even the print is soft and comfortable to the skin.” This one features a prominent @pi hybrid design, but there are plenty of other scarves to choose from. Also available in the UK and Australia. Add the final touch to your teacher gift with a thoughtful, handwritten note. This card makes the ideal token of appreciation, either by itself or in combination with any of the other gifts. Whatever your teacher’s personality and sense of humour are like, you’ll find a suitable card for them here. Also available in the UK and Australia. April is Math Awareness Month, the goal of which is to increase public understanding of, and appreciation for mathematics. The theme for this year’s month of math awareness is Mathematics, Statistics and the Data Deluge. 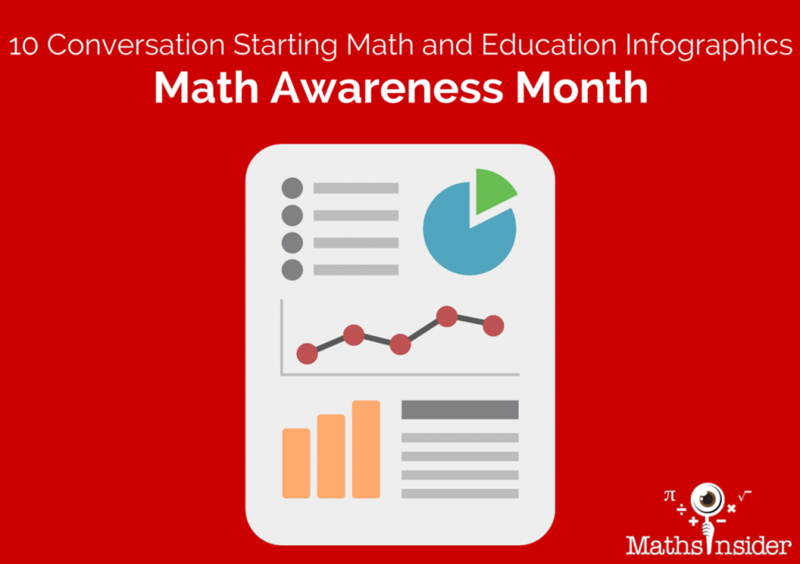 As a fan of data and of infographics in particular, I’ve collected 10 conversation-starting infographics which offer interesting insights into math, education and math education. Which one will you talk about this week? 3. When Am I Going to Use Math? The School Family questions are intelligent, insightful, and important; as a parent, you would definitely learn plenty about your child’s education if you asked them all. Don’t ask your child’s teacher these questions all in one go! Your child’s teacher will want to hit you! In the past I was a (non violent) school teacher, and now I am a pushy concerned parent. I can see it from both sides. 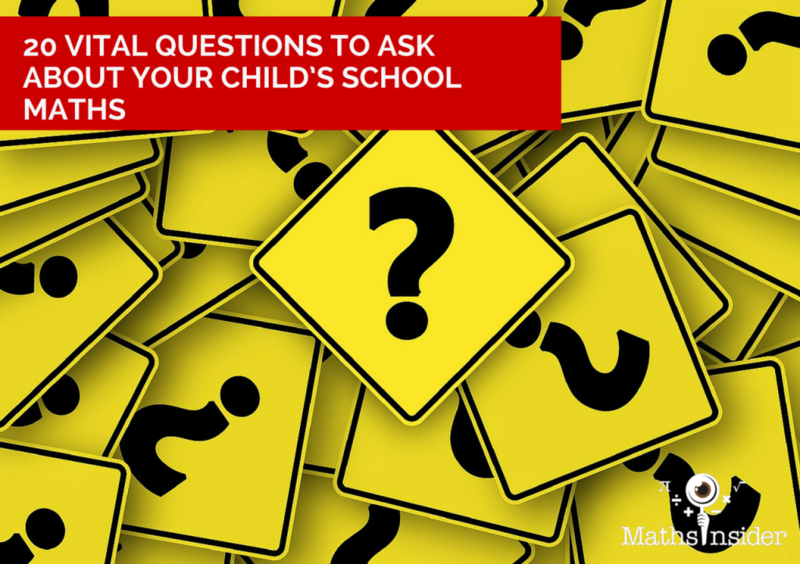 The fact is, you may not need to ask your child’s teacher all of the maths or all of school family’s questions at all. 1. 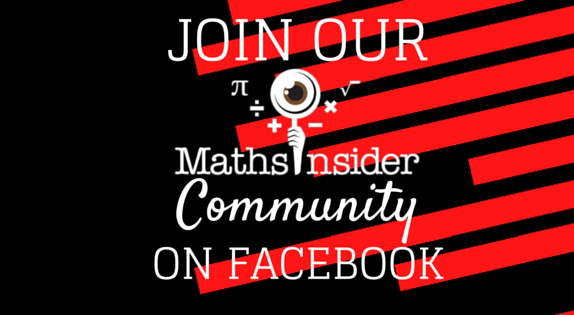 What information do they have from the previous teacher about your child’s maths? Also check your child’s reports from last year to see what their previous teacher wrote about their maths learning. 2. Did your child’s previous teacher give an accurate representation of your child’s maths ability to their new teacher? If the teacher over or underestimates your child’s maths ability, this could lead to problems later on. 3. Does your child’s new teacher know about all the maths successes and maths problems from last year? Building from previous work (with some revision built in) will help your child progress. 4. Is there any further information, I as a parent,can give them? 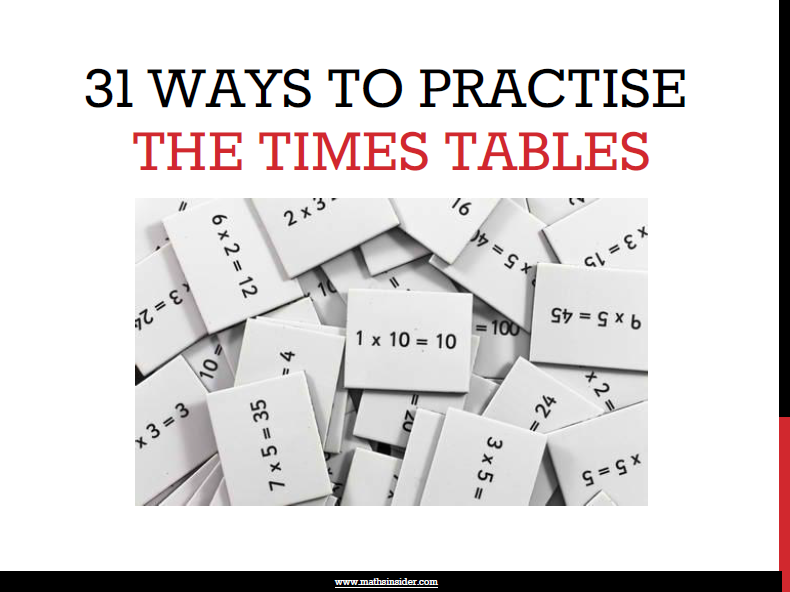 If your child gets worried about tests or doesn’t yet know their times tables, let the teacher know. 5. How are the maths lessons structured? What is the mix of “chalk and talk”, maths investigations, group work, individual work, projects and tests. 6. How are the maths lessons spread through the week? There may be days with 2 maths lesson and some with none. Schedule some quick maths practise on those “no maths” days. 7. 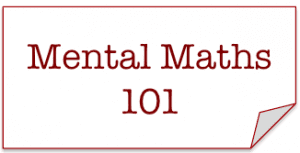 Is there regular mental maths practise? If there is, this will make it easier for you to encourage your child to practise their basic skills. 8. Are the children taught as a whole class? If so make sure your child finds the time and confidence to ask for help if they don’t understand the work. 9. Is there different work for higher/lower ability children? Find out which work your child is getting, and how the teacher decides when to change the level of the work. 10. What happens if my child finishes the classwork early/struggles to finish the work? Giving more of the same or less of the same will demotivate both the high and low ability child. 11. How many pieces of maths homework are given each week? Knowing this will help you schedule any additional maths practise or tuition. 12. How can I support their maths learning at home? What ideas does the teacher have, that you hadn’t thought of? 13. 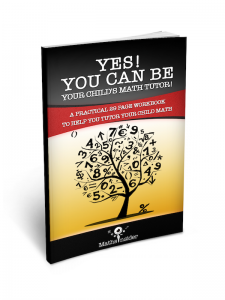 Are parents encouraged/discouraged from helping their child with their maths homework? If homework is used as a way for the teacher to assess your child, the teacher may want to know how much your child can do unaided. 14. If I help, does the teacher want me to write a note on the homework? If you have helped your child, let the teacher know that your child was struggling with that topic. 15. 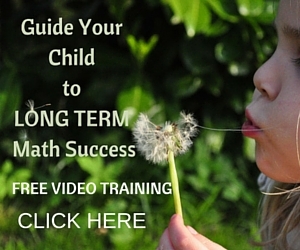 For days when my child isn’t able to complete their maths homework, what should I do? Will the teacher accept the work a day or two late, or will your child have to stay in at break time to complete it. 16. If I want extra maths resources, can you provide them or do you have any recommendations? Some teachers have a supply of extra resources that they are happy to share with parents. 17. Is there a website that the teacher uses to set problems from that they can recommend to parents? 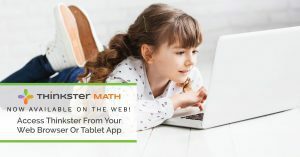 Many of the websites that teachers use to find activities for their class may also be suitable for parents who want to help their children at home. 18. 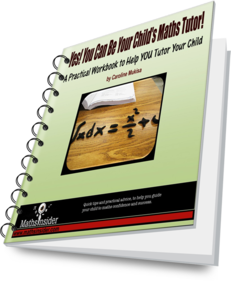 Is there a website that explains the maths concepts that your child is studying this year? Apart from using Google or Wikipedia, is there a website which explains ratios for example, in a straight forward way? 19. Is there a tutor that the teacher can recommend if my child needs more support? Teachers often know of others in their profession who are good private tutors. 20. What are the maths curriculum topics for the term? This list can help you work ahead, revise or reinforce the maths work done at school. Also, when your child says, “Fractions? What are they?”, you can decide whether to worry or not! What questions can you add to this list? Tell me in the comments below! I was sitting in the doctors waiting area last week waiting for the youngest one’s vaccinations. A lady walked in, sat down, glanced around the room and then walked across to a group of ladies who were sitting together chatting. After introductions, the ladies started talking animatedly in Arabic. Now I’m trying to learn Arabic, so my ears pricked up as I tried to catch familiar words in the stream of the high speed conversation. 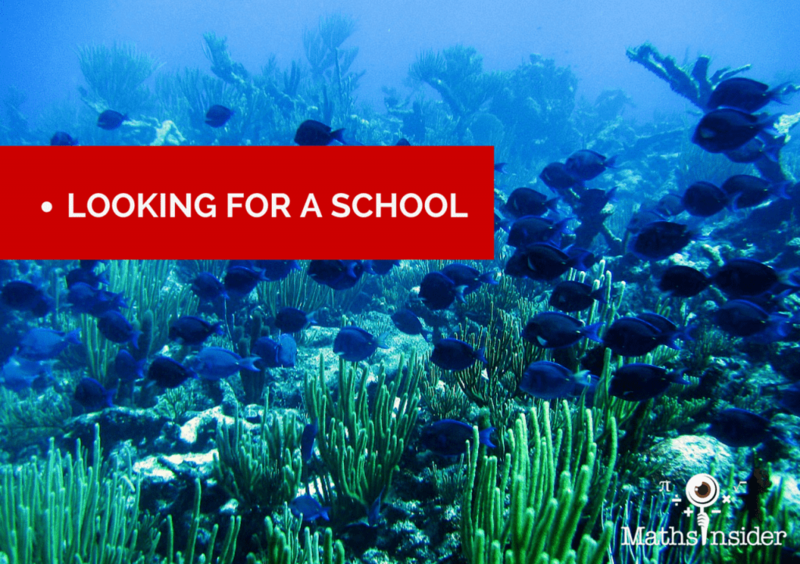 It’s enough to give any sane person a headache but in light of all these school conversations I’ve had, here are 5 tips to help you when you need to look for a new school. Other families will have gone through the same process as you, ask them what they think, what their friends think and what they’ve heard from others. Every family has different criteria for what they want in a school and every child is different. Listen to what people say but don’t dismiss a school until you’ve fully investigated it yourself. The school that everyone says is perfect may not be the perfect one for your child. Preferably when there are students there. Some schools have lovely buildings but provide a lousy education, some schools may have lousy buildings but provide a great education. Great tip: See how orderly the place is at lesson changeover time/ break time. How do you support weak/gifted student? What are your public exam results? You don’t necessarily need a perfect answer, but you want to send your child to a school where they acknowledge problems and are willing to discuss them with you. What questions do you ask when visiting a school?